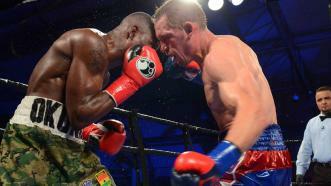 In a clash of rising 147-pound contenders, Kevin Bizier took the fight to Fredrick Lawson from the opening bell and punished his unbeaten opponent for 10 rounds, with Lawson failing to answer the bell after the 10th round because of a broken jaw. Bizier thoroughly dominated the fight, which saw Frederick Lawson nursing an injured jaw and a stoppage before the eleventh round. 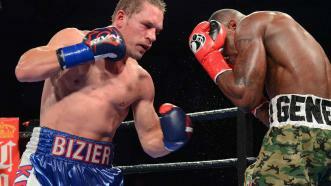 Kevin Bizier took the fight to Fredrick Lawson from the opening bell and punished his unbeaten opponent for 10 rounds. Lawson failed to answer the bell after the 10th round because of a broken jaw.